The American Business Magazine, Forbes, has released the list of richest Kings in Africa. The list consist of 5 Monarchs from different countries/cities in Africa. 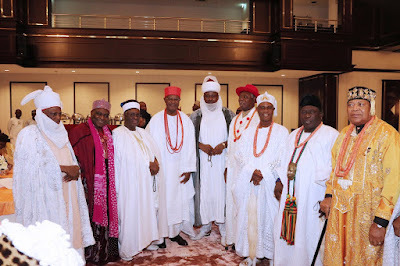 Among the listed Kings is the Olugbo of Ugbo Kingdom, HRM Fredrick Obateru Akinruntan who is named the richest monarch in Nigeria and the second richest in Africa. Oba Akinruntan who beat the likes of the Alaafin of Oyo, the Sultan of Sokoto, the Ooni of Ife and others to emerge the wealthiest monarch, is the Olugbo (traditional King) of Ugbo land, a small oil-rich community in Ondo state, in Nigeria’s southwestern region.